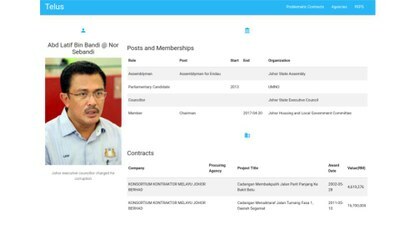 Telus (transparency) is a web service application that imports and joins up open standards data for politically exposed persons (PEPs), beneficial ownership and procurement contracts, to expose political interests, accountable senior public officials and conflict of interests of procurement contracts. Corruption is defined as "abuse of power for personal gain". 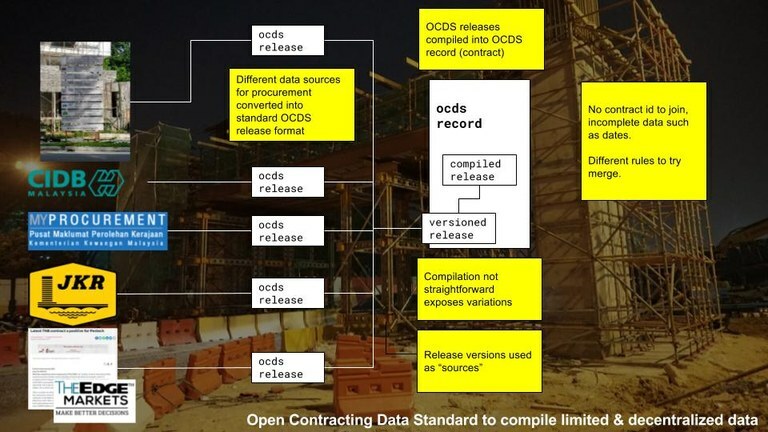 Open Contracting Data Standard (OCDS) data provides information on process and organizations procuring and selling (contractors). 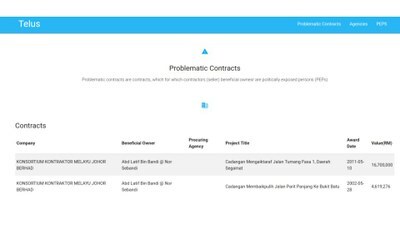 By itself, it cannot expose issues such as conflict of interests in the procurement process. It tries to solve this by joining up data from beneficial ownership registries and politically exposed persons data. Possibly problematic contracts where politically exposed persons match contracts award to companies which they have beneficial ownership. Corruption is hard to expose, especially systematic corruption, because the data is hard to come by and opaque by design. It is not in the interests of corrupt officials in the system to make this data easy to get. Additionally the perpetrators often are simply transferred or even promoted to other government agencies, with records of their past history missing when a corruption case is exposed years later. Telus address this by using Popit API which stores and provides API for current and historical data on PEPs and Organizations as Popolo-spec open data. 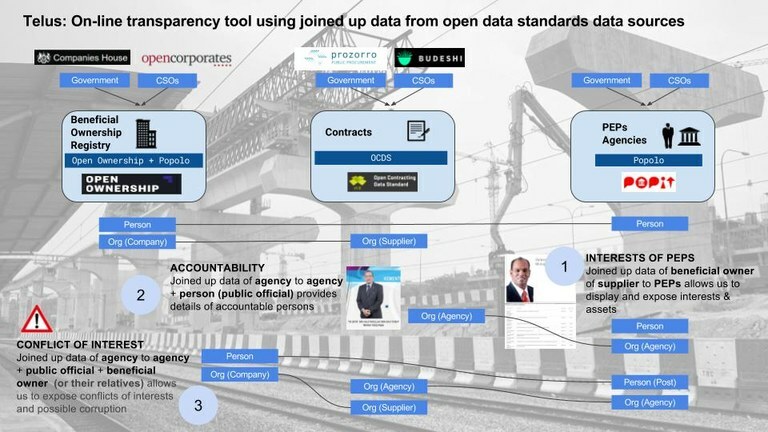 For beneficial ownership, eventually this information will also be sourced via API from OpenOwnership global registry. Telus web application is dependent on open source Popit API open data database source of PEPs, their current and present posts, memberships and relationships. 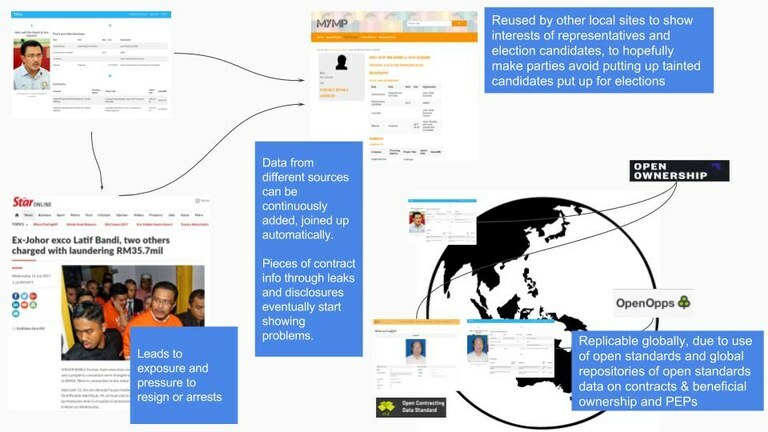 As the Popit database is matched against a live database, as more PEPs and info is added, the wider the scope of people that could possibly be matched against people holding government agency posts and beneficial owners. Currently Telus requires manual imports of beneficial ownership in openownership data standard format. When OpenOwnershp API is published, like PopIT API sources, Telus will also lookup matches for beneficial owners in a single global registry. One pending challenge, is improvements in the import and merging of incomplete open contracting OCDS releases into Telus or other OCDS repository. Current PoC Telus with Malaysian data, has incomplete and possibly duplicate records due to poor sources of contract data that has to be pieced together. 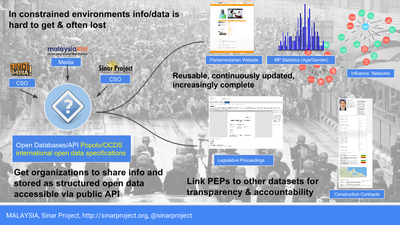 Just as we are piecing information on PEPs over time in Popit by filling in missing information following Popolo-spec, we will also need similar more robust approach with OCDS. How do I get started with implementing Telus for my country or project? While we are now improving the robustness and features of Telus web app, to be more usable and easily deployable by others, one can start first by setting up the data sources it needs. 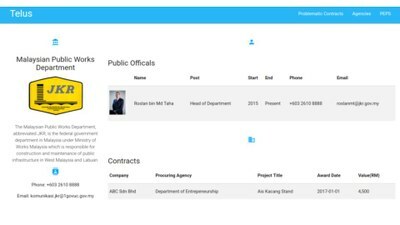 Set up Popit API and database for your project or country, and start importing data of PEPs, government agencies and posts. You can contact our team at [email protected] for questions or assistance in deploying Telus.